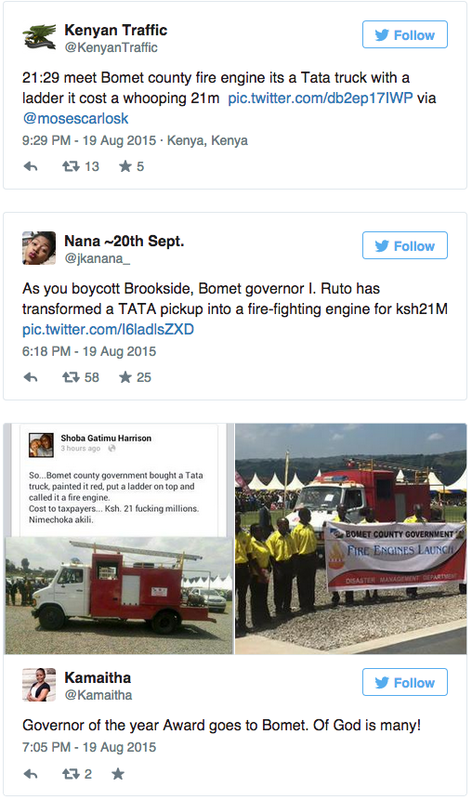 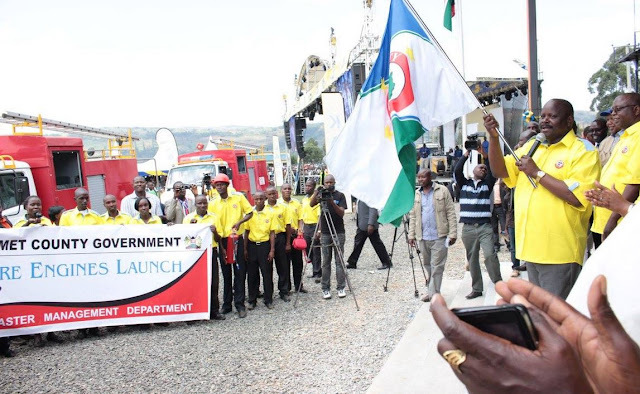 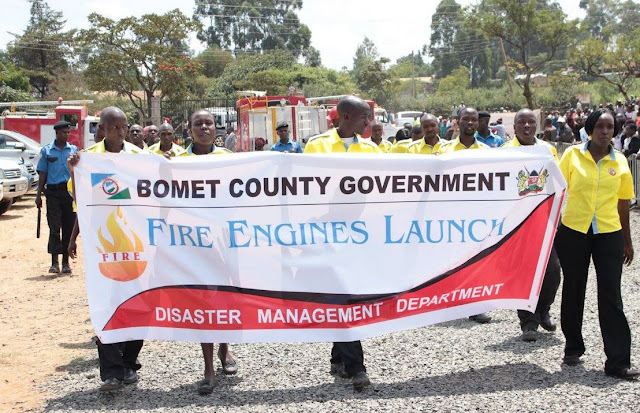 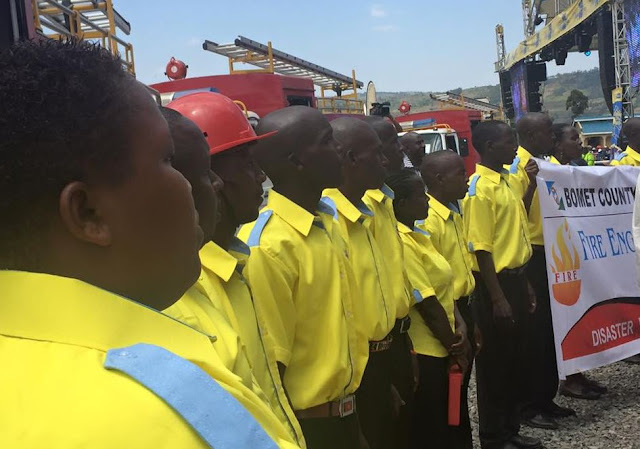 Governor of Bomet County Isaac Ruto last launched 3 ‘fire engines’ last week for his county. 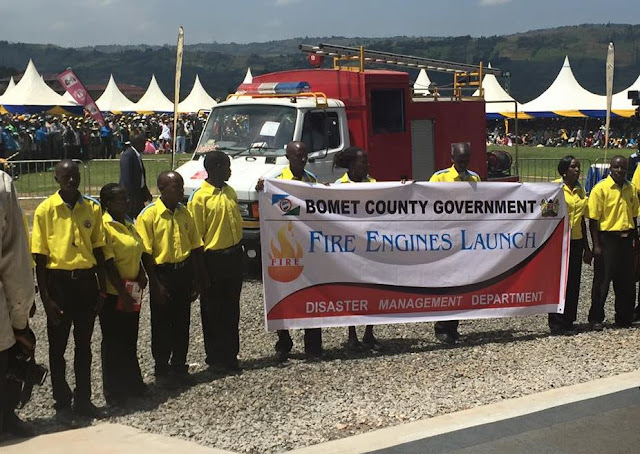 The governor held a ceremony during the presentation of the fire engines and all went well except on social media where the KOT decided to fry the governor on a hot pan for buying old and ugly fire trucks/pickups. 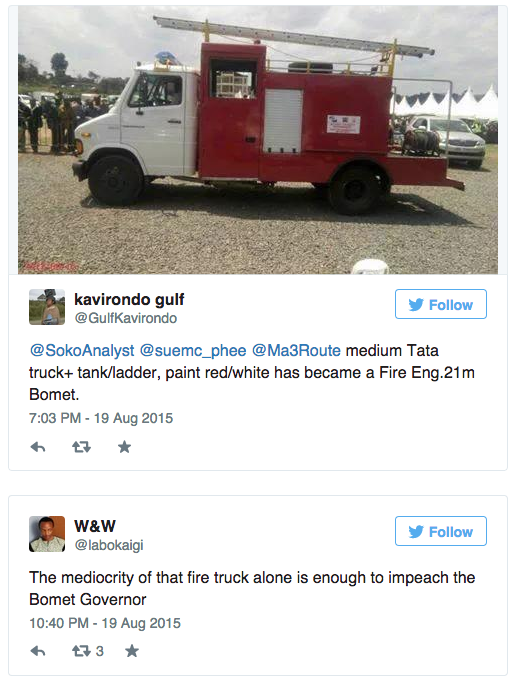 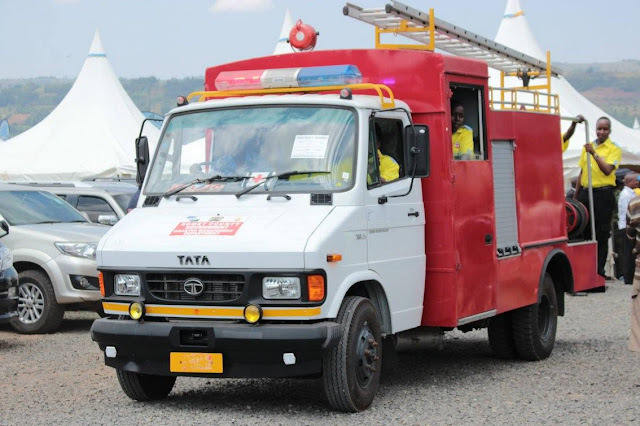 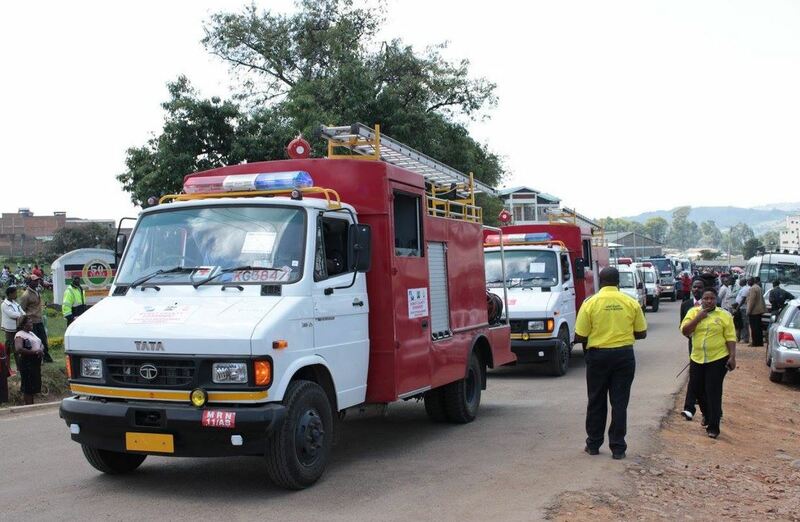 According to rumors doing rounds online, the fire engines allegedly cost 21 million kenya shillings but no one would even pay a quarter of that amount for all the trucks put together. 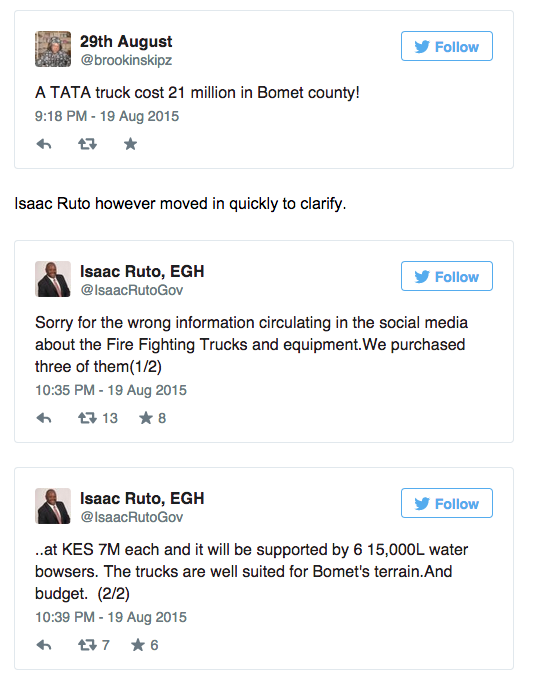 Here is the reaction on twitter.